Yesterday we braved the rain and adventured up to the beautiful Bowes Museum, to listen to a very special inspirational talk by Robert Swan. 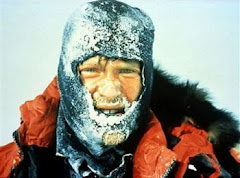 Who is the first ever person in the whole of history to walk to both the North and South poles. He now dedicates his whole life to the preservation of Antarctica by the promotion of recycling and renewable energy. Within the talk he explained his story, from being a young boy with a dream then turning it into a reality, and making it happen and proved that anything is possible if you put your mind to it.